Sarah Freeman is a DFLer running in House District 61B. And she’s pretty much going to be a puppet of Michael Bloomberg. And not “puppet” in the cool sense, like “Lambchop” or “Kukla and Ollie”. 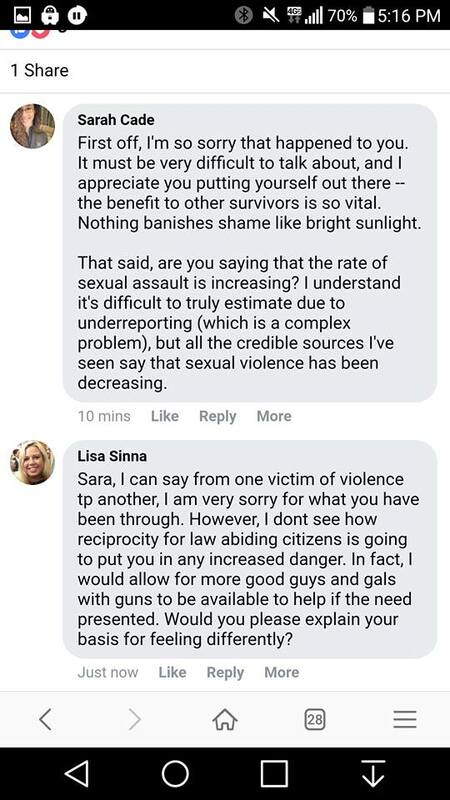 Now, I happen to know both of these women; Sarah is, in addition to being a shooter, also a left-leaning DFLer on every other issue imaginable (also a friend of mine, as is Lisa). But both comments were deleted, and both women blocked from Freeman’s site, in a matter of minutes. Two of these people are gun grabbers. The “group” is another gun grabber. Which is, of course, of a piece with the contagion of cowardice that seems to be befalling DFL pols lately; not only do they eradicate all hint of dissent from their social media, in many cases they proactively block all conservative commenters, using commercial and non-profit social media control apps, before any interaction takes place (koff koff Tina Liehling koff gutless koff koff). Oh, other interactions âre perfectly welcome. Now, it’s a campaign site. Someone running, even in this stiflilngly “progressive” Minneapolis district (currently “represented” by Paul Thissen) has every right to control the conversation on their campaign website and social media. It’s legitimate. Gutless, but legitimate. The problem is, many elected DFL pols actively stifle inconvenient questions on social media; my favorite example, naturally, was two years ago, when I broke the story of Alondra Cano using constituents’ private information from the City of Minneapolis website to try to “shame” people who questioned her use of her office to support Black Lives Matter’s attempt to shut down the Mall of Amarica. When I respectfully but pointedly brought it up on social media and on this blog, Cano blocked me. It is, of course, because Cano is not only a coward, she is fundamentally anti-Democratic. She is an intellectual jackboot. And it appears Ms. Freeman is cut from the same hobnailed material. Oh, yeah – the article she links to? We’ll dispose of that tomorrow or Monday. Easily, and with contemptuous prejudice.